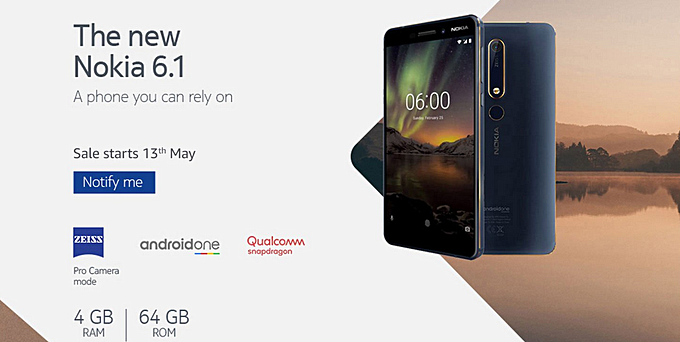 The 4GB RAM variant of the Nokia 6 (2018)/Nokia 6.1 is all set for launch in India later this week. Sales will open May 13, with Amazon India being the exclusive retail partner. While there's no confirmation on pricing yet, rumors say the model will set you back around INR 18,999 ($280). For comparison, this is INR 2,000 ($30) more than what the 3GB RAM model costs. yeah, we can get Nokia 7+ for INR.23400/- with cashback.. just decided today to go with Nokia 7+, post the Android P Beta announcement. 19,000 for Nokia 6.1! I guess they will launch Nokia X6 at 22,999!